ARTstor can be accessed from a mobile device but an account must first be set up on a standad computer. See instructions for registering for an ARTstor account. 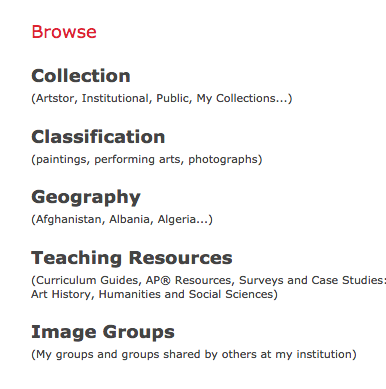 More details on accessing ARTstor from Apple or Android mobile devices can be found on the ARTstor site. Here is an ARTstor video link about ARTstor Mobile. To find content in the Institutional Folder that has been created by Foothill Instructors,look for the link for your class or topic. Content is listed by class number or instructor. 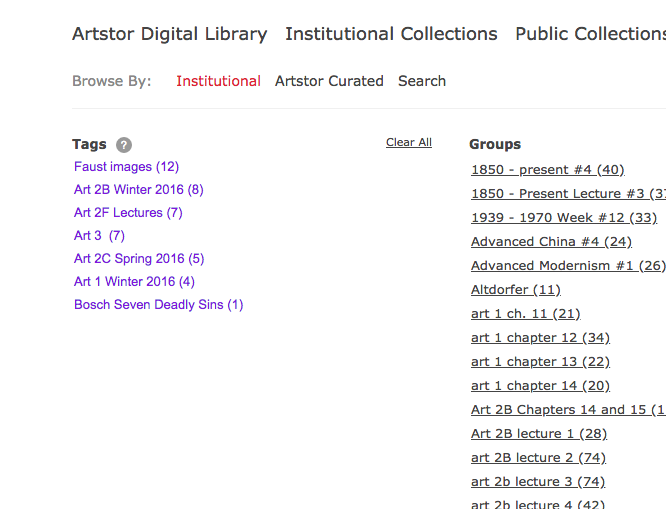 ARTstor has created subject guides on a variety of topics to provide helpful information about the collections and suggest keywords which will aid your search. To download the PDF of a specific Subject Guide click here .